1.Copies (min. of 10, $12.50 @ $1.25 ea.) in papers sleeves...............CD: NO printing. 2.Copies (min. of 10, $17.50 @ $1.75 ea.) in papers sleeves...............CD: text-only printing. 3.Copies (min. of 10, $23.50 @ $2.35 ea.) in papers sleeves...............CD: Full-face printing. 4.Copies (min. of 10, $28.50 @ $2.85 ea.) in thin cases, NO cover.....CD: Full-face printing. 5.Copies (min. of 10, $38.50 @ $3.85 ea.) in thin cases, Front cover only..CD: Full-face printing. 6.Copies (min. of 10, $46.00 @ $4.60 ea.) Jewel cases., Front cover only..CD: Full-face printing. 7.Copies (min. of 10, $55.00 @ $5.50 ea.) Jewel cases., Front cover & Back cover, & full assembly, CD: Full-face printing. 1.Copies (min. of 10, $15.00 @ $1.50 ea.) in papers sleeves...............DVD: NO printing. 2.Copies (min. of 10, $20.00 @ $2.00 ea.) in papers sleeves...............DVD: text-only printing. 3.Copies (min. of 10, $26.00 @ $2.60 ea.) in papers sleeves...............DVD: Full-face printing. 4.Copies (min. of 10, $31.00 @ $3.10 ea.) in thin cases, NO cover.....DVD: Full-face printing. 5.Copies (min. of 10, $41.00 @ $4.10 ea.) in thin cases, Front cover only..DVD: Full-face printing. 6.Copies (min. of 10, $48.50 @ $4.85 ea.) Jewel cases., Front cover only..DVD: Full-face printing. 7.Copies (min. of 10, $57.50 @ $5.75 ea.) 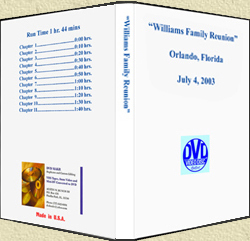 Basic DVD cases., Front cover & Back cover, DVD: Full-face printing. 8.Copies (min. of 10, $75.00 @ $7.50 ea.) 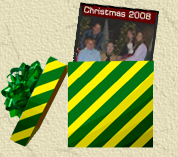 Deluxe cases., Front & Back cover, Insert card, DVD: Full-face printing.